Clear Channel chairman and chief execute Robert Pittman lauds the move as “redefine[ing] the relationship between music companies and radio.” But in reality, the deal—like those struck by Clear Channel and Fleetwood Mac , Big Machine Records, and Innovative Leisure—is frustratingly limited. For one, it will not allow for the collection of money owed to artists for international radio play. Because the US doesnt pay foreign performers and sound recording owners for radio play on our shores, American artists receive no money when their music is played abroad. Reciprocity in royalties would require an act of Congress, something that the major broadcasters have fought tooth and nail to avoid. Never mind that the rest of the developed world compensates performers (with notable exceptions including North Korea and Iran). If Pittman truly wants to “redefine relationships,” he should encourage compensating performers across the board so that America no longer gives away a valuable export free of charge on the world market. So why did this deal happen? Well, performance monies are not the only perk WMG will enjoy as a result of the partnership. As revenue-sharing bedfellows, Clear Channel has also promised WMG “heightened and guaranteed exposure” for its artists via its 850 radio stations, nationally promoted events (iHeartRadio music festivals, for example), and digital stations. Well that’s nice for WMG, but what about everyone else? And anyway, isn’t a radio station exchanging special favors for a record label for financial gain dangerously close to payola? Well, of course, Clear Channel has an answer to that. Although the exact terms of the deal have not been disclosed (another industry loss for transparency) the company glibly explains to The New York Times that as long as its on-air promotions are “commercial inventory and not regular programming” they can skirt the payola laws. But really, in practice, what’s the difference? Whether Clear Channel brackets WMG’s dedicated exposure during commercials or rotation, you still have one record label with disproportionate influence and control. What happened to the great digital market shift? This was supposed to be the era of level playing fields and the rise of niche markets, but once again the vast majority of independents are muscled out and losing precious leverage. That’s hardly the future of music we’d prefer. Submitted by Cedar Boschan (not verified) on September 17, 2013 - 11:42am. 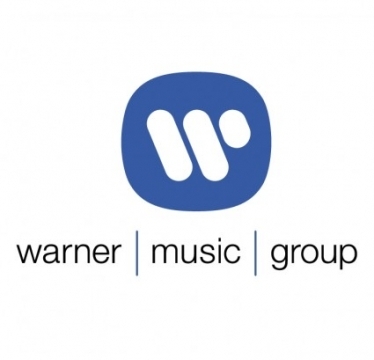 Not true: "Warner’s roster of performers will be compensated for plays on American terrestrial (AM/FM) radio." Those are fair points, Cedar. Submitted by kevin on September 23, 2013 - 6:33pm. Those are fair points, Cedar. The deal theoretically allows for payment for performers, but since the payment goes through the label, it's difficult to know whether that money will actually reach artists. And as you note, it can be held against recoupables, another reason that payment through SoundExchange would certainly be preferable.